I am so excited to reveal my first activity pack! My sweet 6 year old, Ellie, enjoyed helping me create this 20 page pack. It is specifically designed for preschool & kindergarten aged children. 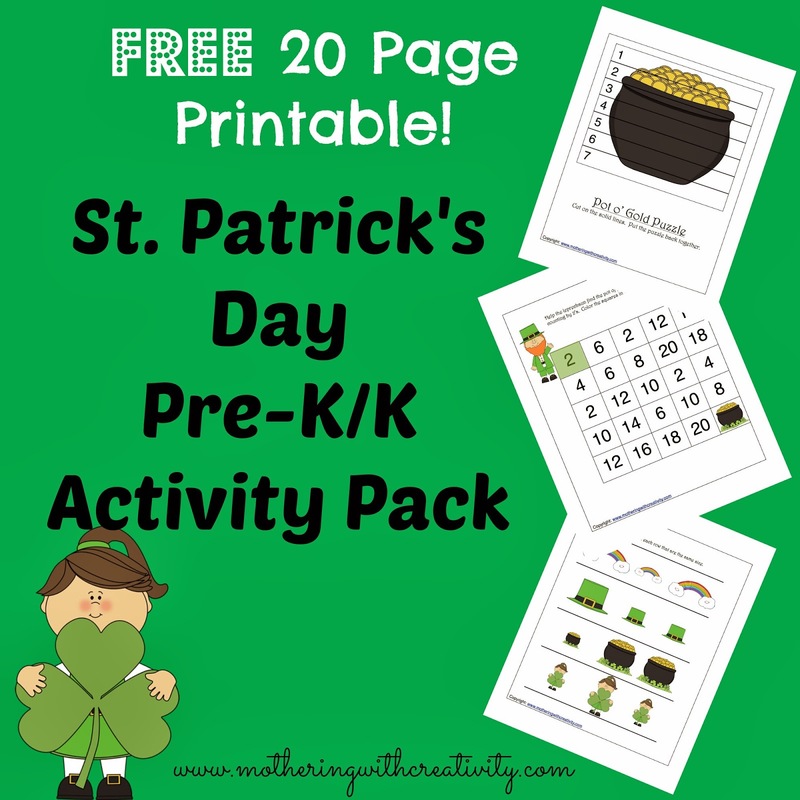 You will find activities for cutting, tracing, glueing, creative writing, coloring, counting, and more, all with a St. Patrick's Day theme! These pages are copyright Mothering with Creativity, and feature graphics from mycutegraphics.com. Click below to download and/or print this activity pack!